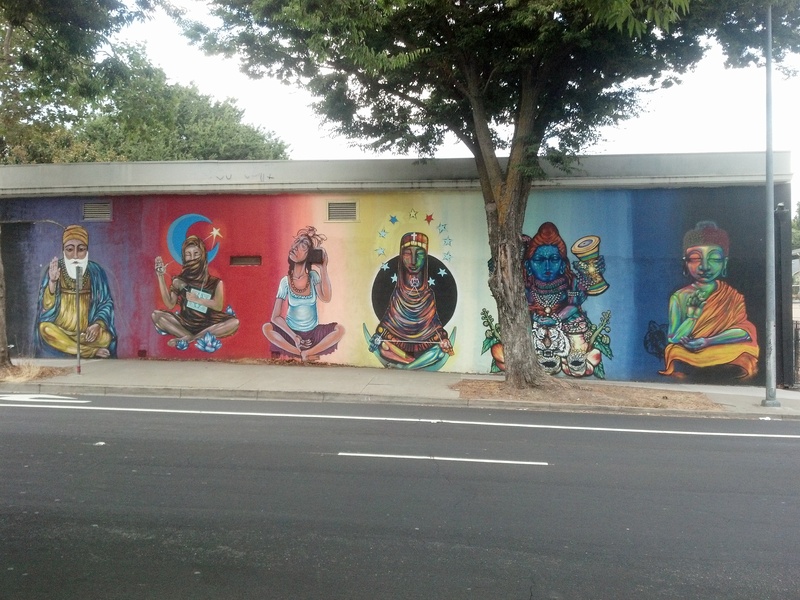 An outdoor mural in Sacramento, California featuring representations of various faiths. Click to enlarge. A reader sends in this photo of a new mural on the side of a business in a main thoroughfare in Sacramento, California. The large painting features a depiction of Guru Nanak (far left), the founder of Sikhism, alongside representations of figures from other faith traditions all on a rainbow background (the color pattern could also be representative of times of day and night).